According to recent data, Amazon’s furniture sales grew to an estimated $4 billion in 2017, representing more than 51% growth year-over-year. Few industries have been more upended by customer expectations in the past several years. Using traditional methods, fulfilling a furniture order from the manufacturer to the customer could take up to 21 days. That might as well be decades to today’s online shoppers. Companies are left scrambling to shift their operations to keep up with Amazon. In the process, they’re transforming the traditional logistics chain from manufacturer to your customer’s living room. Companies are now expected to deliver furniture in a matter of days. Which isn’t easy — furniture is notoriously easy to damage in transit, in many cases needing to be moved by hand to avoid cosmetic damage. Furniture items should be packed with only other furniture items, and need to be precisely arranged in containers for safety. As a result, shipping furniture is usually time and labor intensive — even before it leaves the overseas port. Fast turnaround requires companies to have more product in stock at any given time. That’s easy for large retailers, but smaller competitors can’t always keep as much inventory on hand. 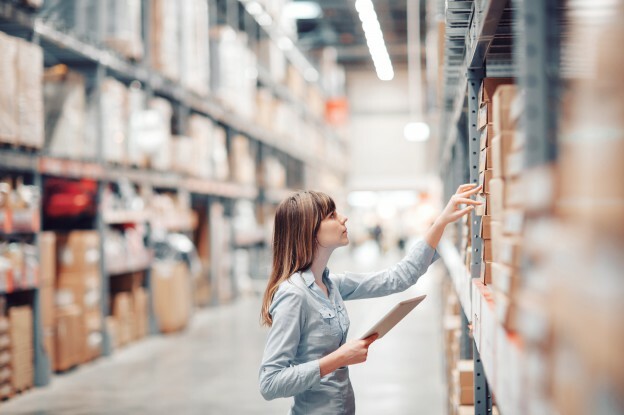 More companies are looking to portside warehousing through a 3PL partnership to ensure they have stock ready and available. Once your furniture arrives stateside, it needs to be moved from the port to your warehouse. That movement is no easy task, though. Transporting heavy objects requires considerable manpower, especially furniture that can be easily damaged by a forklift. Once it’s on the road, fast turnaround times make in-home delivery on tight schedules difficult. One-way shippers are dealing with this problem involves trying to truck the product faster. Blue Acorn writes that “long-haul carriers are starting to use two-driver teams, second-shift unloading, and more frequent shipments to decrease the amount of time between the warehouse and the last-mile delivery center.” Making fulfillment a nearly 24-hour operation keeps pieces moving long to their final destination. Improved intermodal technology offers another approach to transferring heavy furniture from port to warehouse. Transferring containers with furniture direct from the ship to freight trains makes for cheaper, efficient transit that doesn’t involve packing and unpacking the container. That subjects the product to fewer movements where it could get damaged. Deluxing is a necessary step in the fulfillment process that’s unique to furniture sales. The term describes the process of unpacking and inspecting pieces before wiping them down, repairing as needed, and re-packing the product with blankets prior to loading. This process is necessary on nearly two-thirds of products to minimize returns. Faster turnover and delivery increase the likelihood that a product will get banged up in transit, which makes deluxing especially important. As furniture sales increase due to ecommerce efficiency, so too will the demand for deluxing. That’s leading to changes in the way the process is performed. More deluxing is being done by third-party operations stationed along the supply chain, rather than retailers themselves. Especially for small and mid-size furniture companies, it’s not uncommon for a retailer not to touch a product anywhere along the chain. Some logistics companies are even building deluxing shops into their operations to accommodate this new market. White glove service is also scaling up with the growth of online furniture sales, but increasing demand is creating a white-glove driver shortage. Many people aren’t willing to do the additional labor involved with white glove, which makes finding qualified personnel difficult. Another challenge related to last-mile delivery for large objects: limited space. Trucks designed to handle oversize loads are traditionally quite large themselves; they have difficulty maneuvering in the tight cul-de-sacs of suburbia at times. Add the increasing urban density to the mix, and that spells big trouble for some providers. Not to mention that unless properly loaded, deliveries with large trucks are costly and inefficient. Some companies are getting around this by retrofitting custom trucks and vans designed for heavy objects like appliances and furniture. These vehicles are more nimble and many come with lifts and other tools to help make delivery quick and safe. Learn more about shipping and storing furniture for online sales. Contact us!